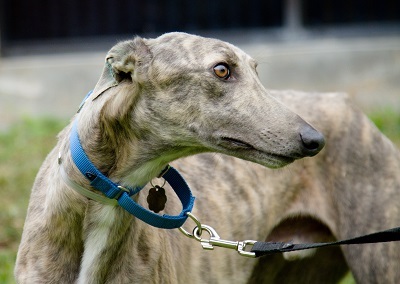 Greyhound Adoption League of Texas, Inc.
Poncho is an approximately 3-year-old blue brindle male. 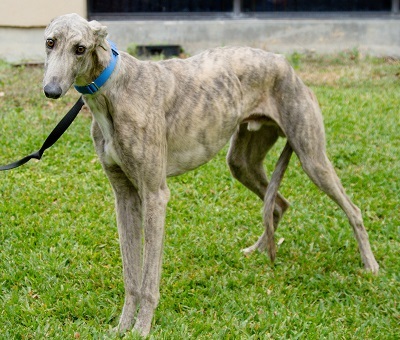 He was found by Dallas Animal Services, running as a stray with Pepper and Peaches. All three had freshly double tattooed ears which obscures their origin. Poncho is being medically evaluated and will hopefully complete his medical procedures soon. It is not yet known if he can live with cats or other small animals.